Donut County is an indie game by Ben Esposito. Released in 2018, Donut County was one of the pleasant surprises of the year, and can be described as something along the lines of an inverse Katamari Damacy. While Katamari saw players bundle up as many objects (and people) imaginable to create one giant mass, Donut County sees players take control of a hole in the ground to engulf everything (and everyone) in sight. Taking place in the titular county, the primary characters of the game are employees at the local donut shop; Mira, a human, and her boss, BK the raccoon. Whether or not this shop sells actual donuts is up for debate, as most of their business (unbeknownst to Mira at first) is that BK uses a cell phone app to deliver “donuts” to customers…except that these donuts are actually holes in the ground the slowly increase in size as they swallow more objects, and have ultimately been trapping people underground along with their homes and all of their stuff. The majority of the game is told in flashbacks, as Mira and BK have been sucked down a hole themselves. 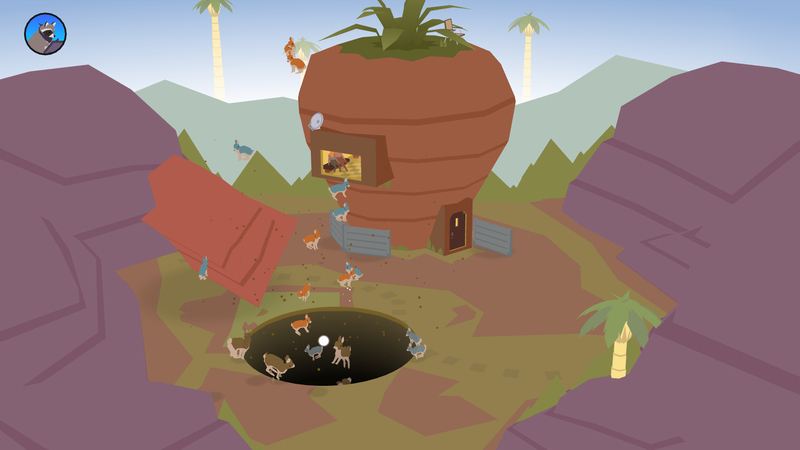 The other residents of Donut County recount the events of how they got sucked underground, and their stories are then played out as the game’s stages. All the while, the residents of Donut County try to help BK come to the realization that what he did was wrong (he simply wanted to build up points with the app to purchase a drone). It’s a delightfully bonkers game that really does feel like a little love letter to Katamari Damacy. As stated, the player doesn’t control any characters, but the hole in the ground. The hole always starts out small, and increases in size with the more objects it swallows. You’ll begin stages sending pebbles and flowers down the hole, and gradually work your way to larger objects, before the hole becomes so large it can overtake houses. It all sounds simple – and truth be told it is – but it’s a whole lot of fun and will keep a smile on your face. 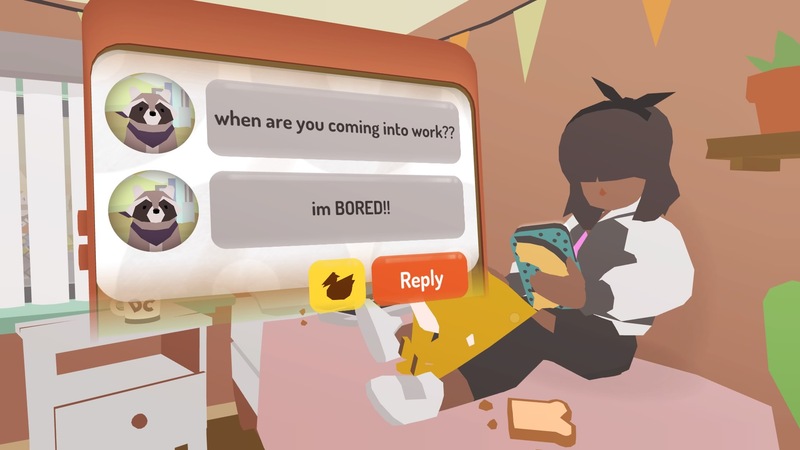 Donut County does find ways to keep the concept fresh, with puzzle elements introduced early on, which continue to grow as the game progresses. For example, an early stage sees the player guide the hole to swallow a campfire, which results in smoke emanating from the hole, with the player then guiding the hole under a hot air balloon so the smoke can help it lift off. And later on in the game, BK purchases a “catapult attachment” to the hole, which can launch specific items out of the hole. You can catapult these objects to knock down out of reach items, which may be necessary to increase the size of the hole. Donut County takes its simplistic concept, and finds fun and inventive new ways to utilize it throughout. The entire campaign of Donut County should take roughly two hours. So it’s a very short game, which isn’t a bad thing (give me a compact but complete game over an overly long one filled with padding any day). The downside, however, is that there’s not too much incentive for replay value other than to complete the ‘Trashopedia” (the collection of objects you’ve sent down holes, with each item having its own humorous description), but chances are you’ll already have the Trashopedia nearly complete after your first playthrough anyway. There may not be a whole lot of content to make up for the short campaign, but everything that is present in Donut County – simple though it may be – is undeniably charming and fun. 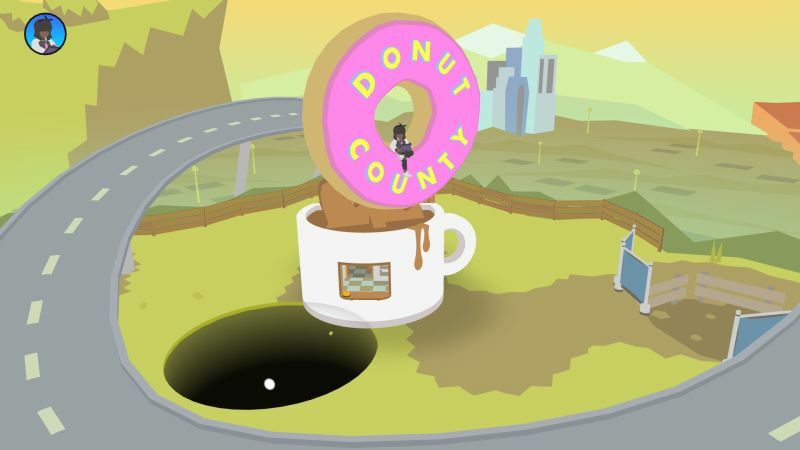 Similar to Portal or (you guessed it) Katamari Damacy, Donut County introduces an innovative gameplay concept, and presents it in so many playful ways it will continuously pique players’ interest to see what’s around the next corner. There are few things in gaming as satisfying as the combination of fun, original gameplay and a unique, quirky charm. Donut County is a terrific example of just that.